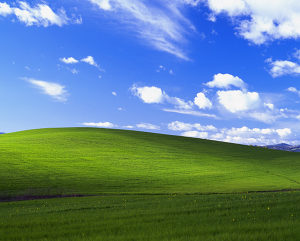 “Bliss,” the photo of a blue sky and green field taken somewhere in the middle of the Napa and Sonoma counties in California, January 1996, was shot by Charles O’Rear. His photo was picked as the default wallpaper for Microsoft XP after being spotted through the Westlight stock photo agency, which had just been purchased by Bill Gates’ Corbis. Delivering the original image to Microsoft, however, was another issue. The Software giant paid an amount in the low six figures for the photo, something which still amazes O’Rear. Because of the value of the photo, however, the cost of insuring it was so prohibitive that even “Fed Ex wouldn’t touch it,” he said. Ultimately, Microsoft paid for a plane ticket and he hand delivered the photo to their office in Seattle. 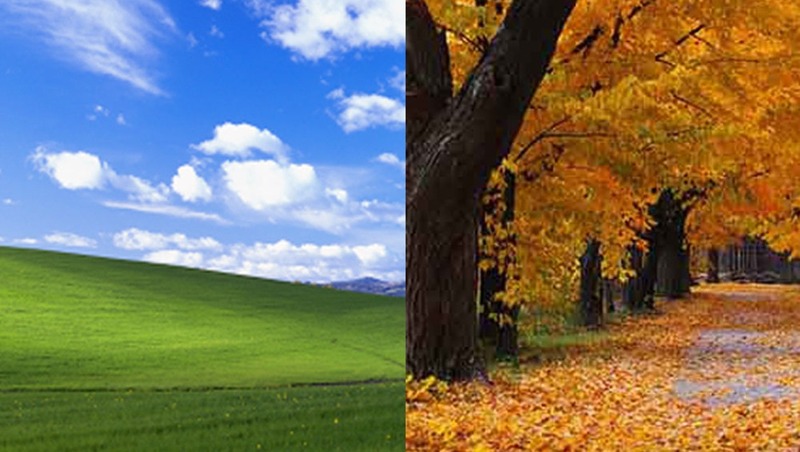 In contrast, Peter Burian, the photographer behind “Autumn,” which also features within XP, wasn’t quite so lucky. 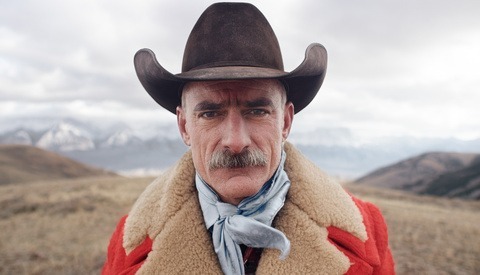 He submitted his photo to Corbis as a royalty-free image – thus receiving the standard cut, despite Microsoft’s widespread usage. “I was more shocked to find out that one of my photographs is available to hundreds of millions of people,” [Burian] says. “I didn’t think anything of it when I took it." It’s quite the contrast in payday. 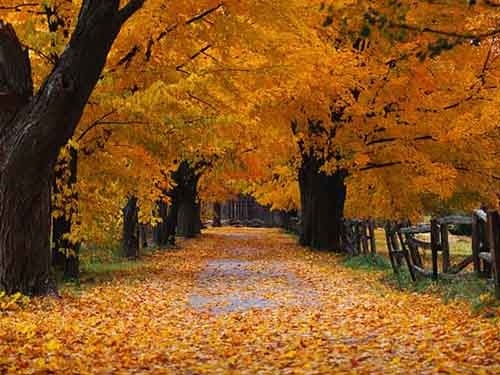 Arguably, since Burian’s “Autumn” shot is featured within the sample photos (a folder few actually venture to), the two can’t really be compared. It’s also due to his own conscious decision to license the image as royalty-free, whilst unbeknownst to him, a tech giant was about to use it millions of times over. What are your thoughts? A matter of perception and tastes. Actually, I find the color contrast and sloping dividing line lends a lot to the composition. But again, it's a matter of taste. 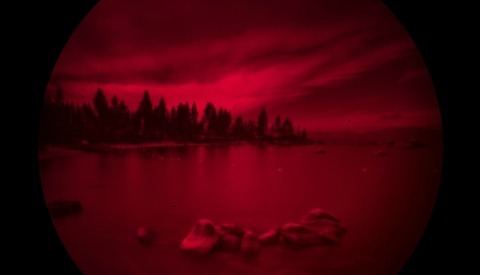 "$100,000 for a nothing special image." Pretention has in fact been published as a word in the English language and dictionaries of the English language. It would thus probably be considered a word (pending confirmation from someone with access to the full Oxford English Dictionary - a tome containing many more words than you, I or any mortal will ever likely know or use), albeit an uncommon one which never came to be used frequently. However unused and forgotten a word, a word it almost certainly is. Whether the word has been used correctly in this instance is a different matter. Perhaps more relevant is that its brief foray into the English language started out in French law. Checking Le Diccionaire reveals that pretension is spelled with a T in the language of love. Checking Romain's bio reveals that he is French. I may suggest therefore that nit-picking his spelling as a non-native English speaker might be somewhat ... gauche. Pedantry of that sort aside, the $100,000 price tag was the figure Microsoft and the photographer agreed upon for widespread repeat usage of the photograph in a prominent position to be seen by millions. Nearly all photographs under such agreements when specifically negotiated will fetch higher prices than they would as single prints. This also makes the comparison to Gursky an apples to oranges (I'm an apples man) one because Gursky sells single or limited edition prints. Happy New Year a tout le monde. The facts I presented relate to its publication in dictionaries. These are not in need of confirmation and are certifiable. I do not claim to know every word in the Oxford English Dictionary as it contains over 300,000 which come and go and change over time (and membership costs $300 per year). I therefore do not claim complete knowledge of the English language and every single word therein. To do so would be somewhat pretentious. Affirming categorically that pretention is not a word when there is evidence to the contrary (publication) makes that affirmation incorrect. I have an interest in most things and find that the more I know about foreign cultures and their history, the better. Learning two additional languages and working as an English as a Foreign Language teacher (making me a professional at correcting non-natives) has left me with a more laissez-faire attitude as long as comprehension is not impeded. While my post was nominally in reply to yours, the final paragraph was more of a general response to the ongoing thread. It was probably more addressed to Romain than to yourself, since he raised the issue of Gursky in the first place. Or, $100,000 for an image that was seen by a lot of people. My biggest stock sale was $10,000 for an average shot. The client liked it and it was used in a variety of ways. People undervalue their photos. Companies will pay a lot if it fits their needs. I had read a long time ago how the image (Bliss) came to be and it was the typical out for a drive to some shooting as the photographer stated. He was lucky enough to have it chosen. I'm not sure he had it licensed as royalty-free and if so then MS should have paid both photographers the same amount. Although Bliss is a default image the others are just as valuable. This is why I never submit images as royalty-free, you never know where they may end up. A wallpaper image needs to be fairly bland so that the desktop icons are clearly findable. Bliss fills the bill nicely. While I think Autumn is more interesting photographically, it is a bit busy for wallpaper. 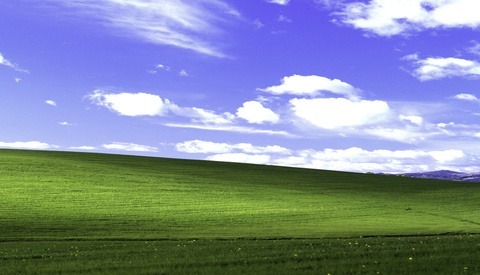 Just so you know - back when this was the default wallpaper, the PC guys in the IT dept called this the "Teletubbies screen", indicating that things had been reset to their defaults.